We are pleased to announce the newest product in our line of licensed collectibles from the HBO® series Game of Thrones®. 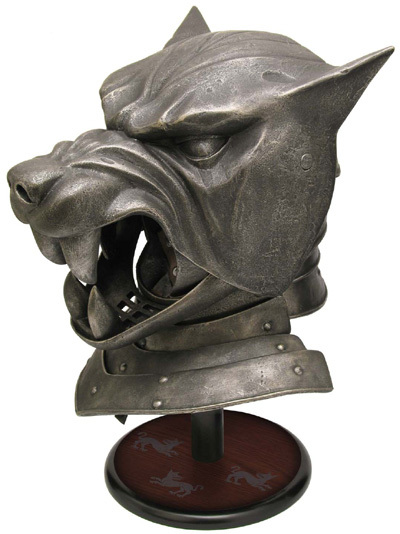 The Hound’s Helm is a fully wearable helmet reproduction with operable jaw visor. It was modeled directly on the actual screen used prop from the show, with accurately matched finishes and dimensions. It is a limited edition of 2500 pcs and will come with a display stand and a certificate of authenticity. 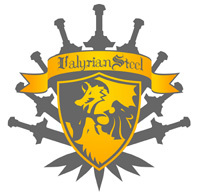 The Hound’s Helm will retail for an MSRP of $300, we will start accepting preorders, on Saturday December 22nd at 12 noon EST, for Spring 2013 deliveries. Christmas Shipping Information: We are now in December, at this point I would recommend all International customers choose UPS shipping to ensure timely arrival. UPS would be able to get it to you with orders as late as the 17th or even 19th or 20th if you choose UPS Express. For US customers the 17th is the cut off for ground shipping nationwide, areas closer to the midwest could wait a few more days, for next day air shipping you could wait as late as the 21st.